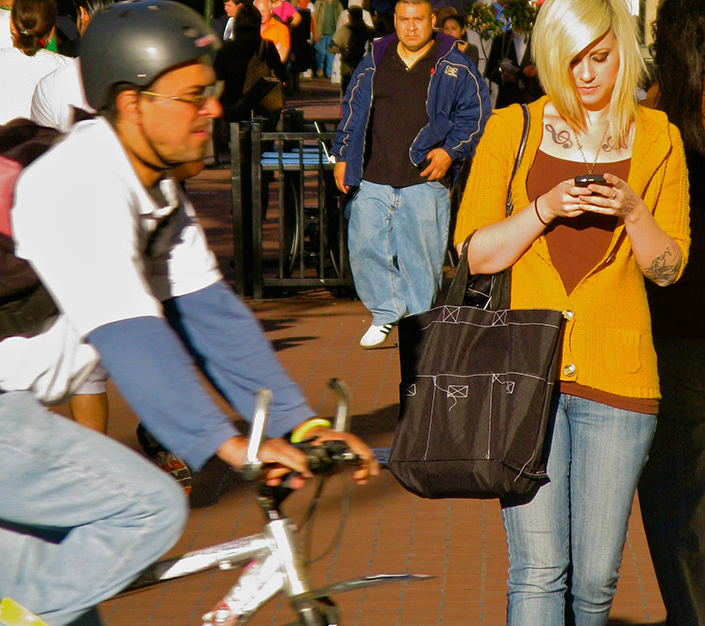 Is it truly dangerous to walk and text at the same time? A new study from the Exercise and Sport Nutrition Lab says yes. Lab researchers, led by Research Scientist Conrad Earnest, built an obstacle course that imitates the common barriers that pedestrians encounter while walking on city streets. Next, they asked volunteers to navigate the course while doing one of three things: walking normally, walking while texting, and walking while texting while also working a math problem. The researchers measured the walking characteristics of each volunteer using the standard techniques of biomechanics research. The results: The distracted participants took longer to complete the course, and deviated from the path more often, than did the undistracted walkers.